We are excited to invite you to this event co-sponsored by BCI. 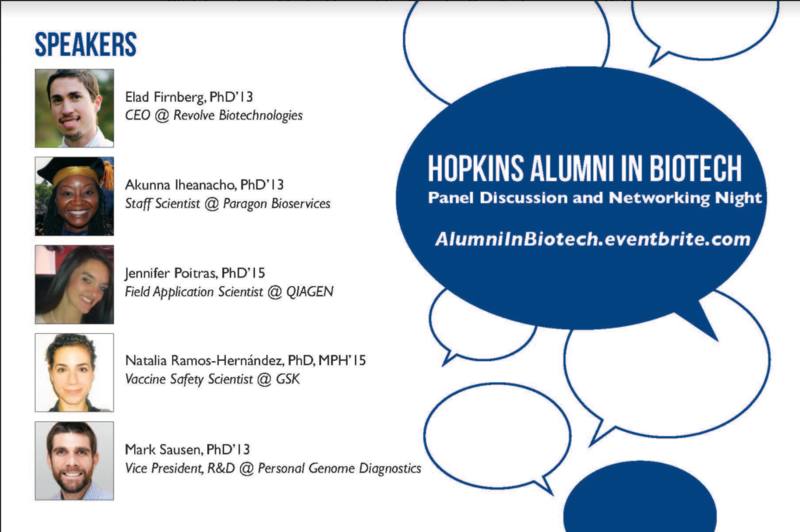 We will have a panel of 5 Hopkins Bio alumni who have successfully transitioned to the Biotech field. 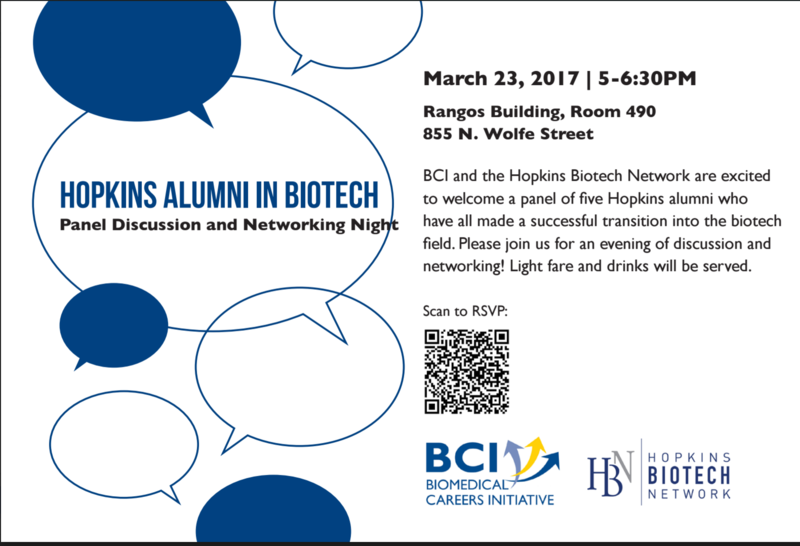 Please join us tomorrow, March 23rd for a fun evening of discussion and networking. Drinks and light snacks will be served. Scan the QR code in the flyer below to RSVP. Speakers lineup included.